There's material yoga, and there's spiritual yoga. The material kind will make us feel more peaceful, limber, and healthly. The spiritual kind will teach us how to attain a state of ever-increasing transcendental pleasure. 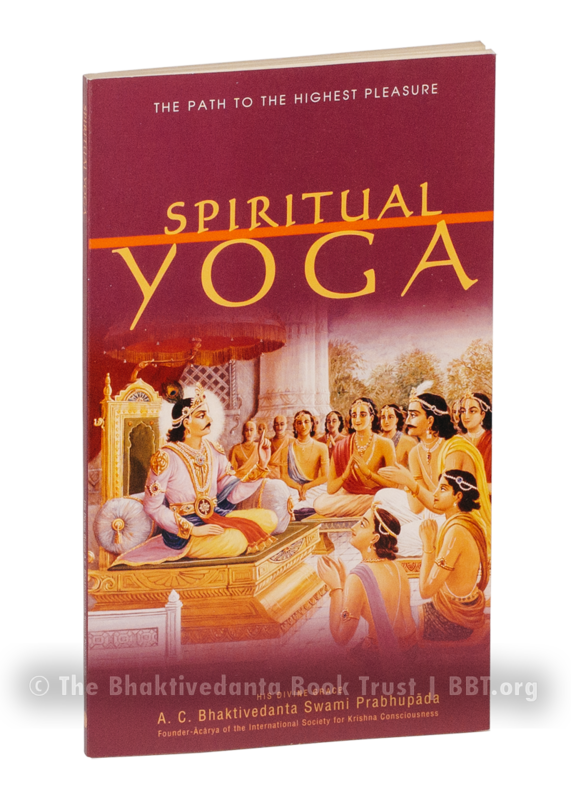 In this book Srila Prabhupada teaches the path of spiritual yoga, Krishna consciousness, elaborating on the instructions a divine king named Rsabhadeva imparted to His sons long, long ago in India. 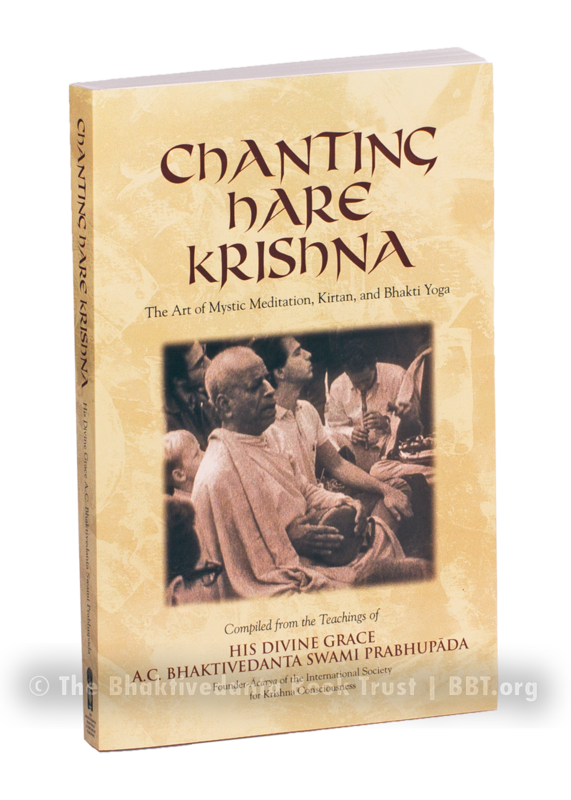 Chanting Hare Krishna is composed of selections from Srila Prabhupada's books, lectures, conversations, and letters. 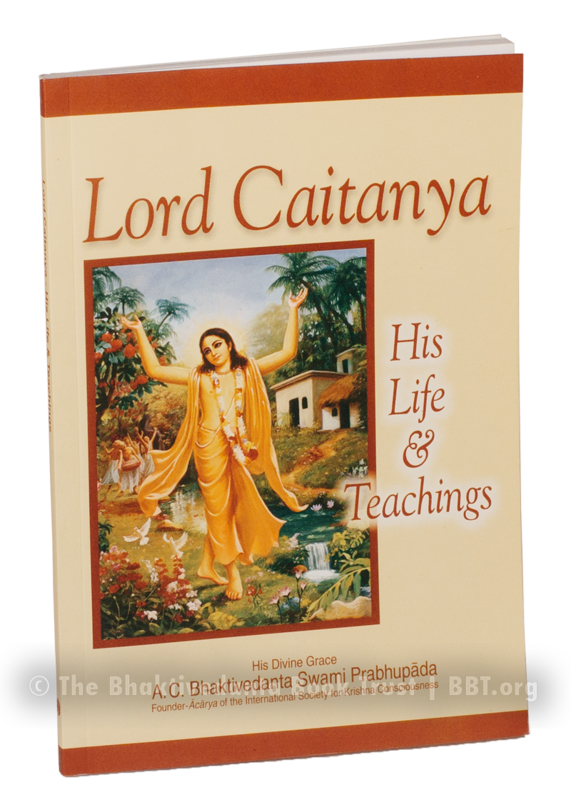 This collection of teachings offers practical guidance on chanting Hare Krishna, from the most basic understanding and progressing through kirtan, japa, initiation, sankirtana, and ultimately to the perfection of chanting - ecstatic love of God. The basic principles of Bhakti-yoga are presented in this introductory book. 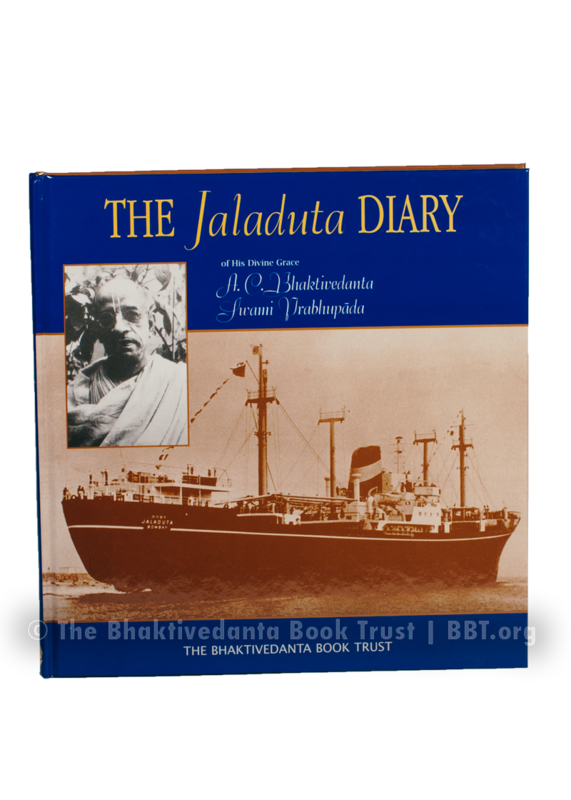 In the very early days of Srila Prabhupada's work in the USA, he kept a journal and recorded his lectures. 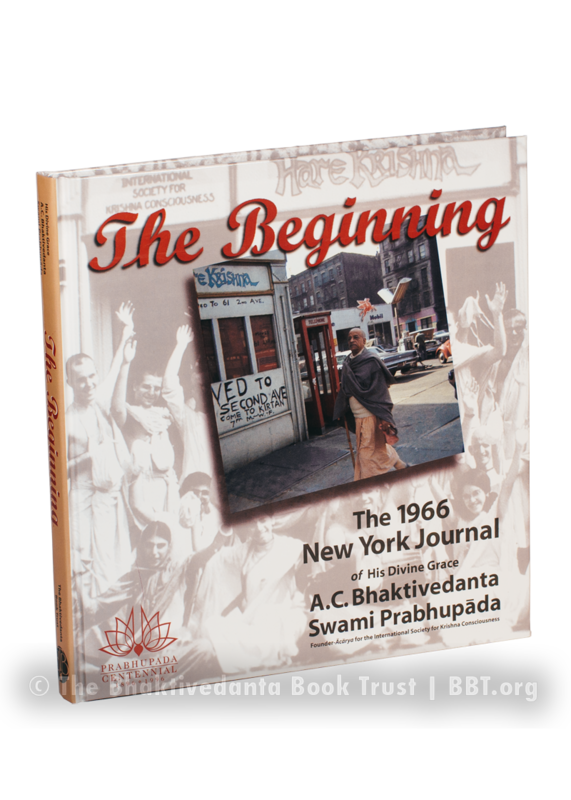 The editors not only provide Prabhupada's diary from his first year in America, they provide notes, photos, excerpts from letters, and transcriptions of recordings to flesh out exactly what that time period was like for him. This is the standard sized, hardcover edition, commonly referred to as "deluxe" to differentiate it from the more commonly available and slightly smaller hardcover one. 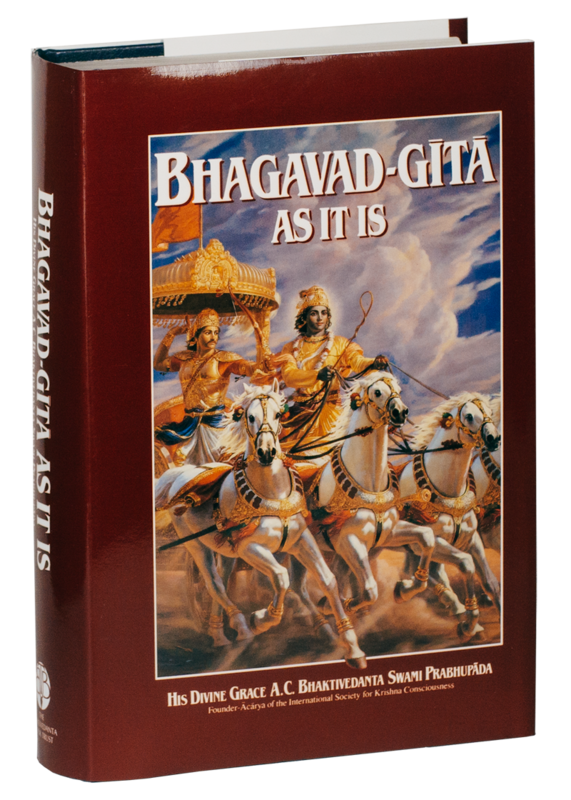 Bhagavad-gita As It Is is unique among Gita commentaries; the author, Prabhupada, represents a line of teachers coming in disciplic succession from Krishna Himself. 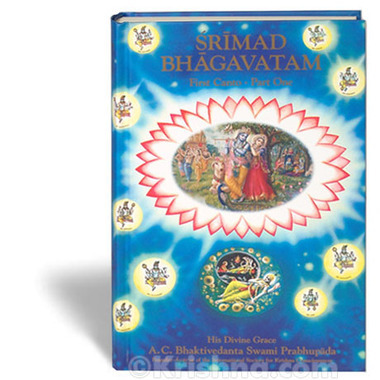 Prabhupada's clarity, wit, and faithfulness to the original Sanskrit text make the teachings of the Gita easily accessible to the western reader. For more information, including how to purchase the book, click on one of the “Formats and Editions” links in the left column, below the photos. Return to main Bhagavad-gita page.